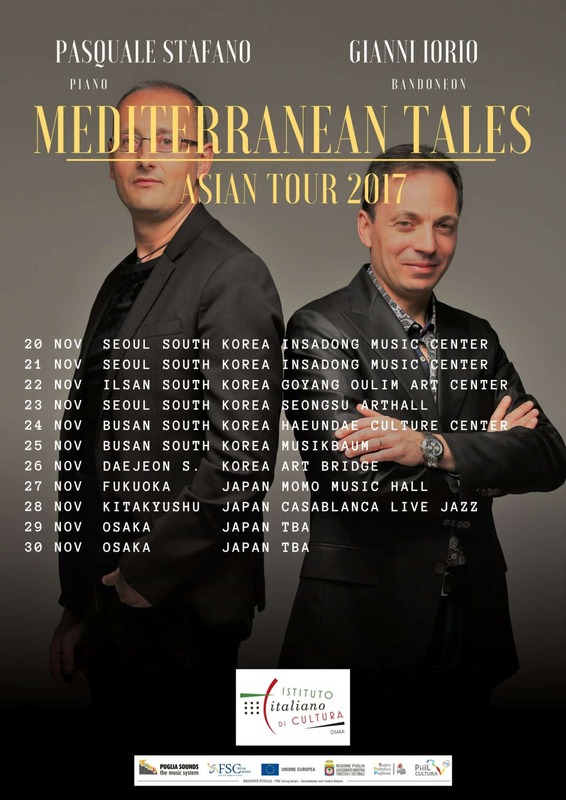 I am very happy to announce my new tour in Korea and Japan in the project called “Mediterranean Tales” with Gianni on bandoneon. All songs are composed by us, this is new and original music. Very excited to be back in Asia, many concerts, so amazing people met there! Can’t wait to be there! See you soon!!! For all my korean and japanese friends, let’s meet you there! Check out the dates in the events section! The tour is supported by Pugliasounds and Italian Culture Institute of Osaka.